At Sneinton we believe that children don’t just learn in the classroom but also during out of school activities. Providing active clubs help children to become a more balanced person. After school club activities are geared around the child and are mostly free. Every child has the opportunity to shine and thrive in their chosen activity as it is their choice to join a club. 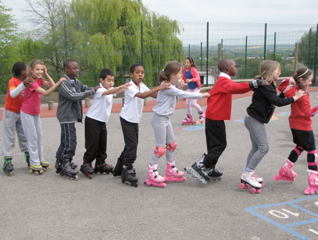 Just to mention a few (some are running now, others have been run in the past): Roller Skating Afternoons, Netball, Football, Arts & Crafts, PDSA, Photography, Science Club, Energy Club, Hip Hop Dance, Indian Dance, Badminton Club, Healthy Eating Club.